Ransomware has continued to be on the rise, and new types or variants take advantage of known vulnerabilities. They are also becoming better implemented, with fewer possibilities of being able to circumvent the malware and access your files without paying. 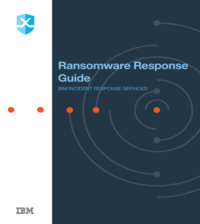 Download this extensive guide for organizations faced with ransomware infection, including advice on detection, analysis, containment and recovery. Learn the lifecycle of ransomware and how to prepare for and respond to events.